Area: 2,934 sq. km. (1,133 sq. mi.) in two main islands plus seven smaller ones. Cities: Capital (pop. 61,900): Apia. Terrain: Volcanic (only one or two active volcanoes on Savai'i; others are considered dormant). Mountainous with narrow coastal plain. Climate: Tropical. Includes rainforest; 115 inches of rain per year. Nationality: Noun and adjective — Samoan. Population (2009 est. ): 183,203. Age structure (2006) — 60.81% under 15; 14.6% over 65. Population growth rate: 1.4% (mainly due to emigration). Ethnic groups: Samoan 92.6%, Euronesian (mixed European and Polynesian) 7%, European 0.4%. Official statistics do not report minorities of recently arrived Asians, immigrants who are Polynesian/Asian mix, such as Indo-Fijians, or Samoan families descended in part from Chinese workers brought to Samoa a hundred years ago, but now completely assimilated, and considered by all to be Samoan, despite remnants of Chinese names and features. Health: Life expectancy: male 66 years; female 70 years. Infant mortality rate — 24/1,000. Work force: Agriculture: 2%; services — 50%. Formal employment rate is approximately 18%. Type: Mix of parliamentary democracy and "Fa'a Samoa" (Samoan traditional custom), a system that blends local tribal leadership with national parliamentary system. Branches: Executive: head of state (5-year term; elected by parliament), prime minister (head of government), cabinet. Legislative — unicameral parliament (Fono). Judicial — Court of Appeal, Supreme Court, and supporting hierarchy. Major political parties: Human Rights Protection Party (HRPP), Tautua Samoa Party (TSP). GDP per capita (2010 est. ): $3,791. GDP composition by sector: Services 75.3%, industry 13.1%, agriculture 3.6%. Industry: Types: tourism, coconuts, small scale manufacturing, fishing. Trade (2010): Exports: $72 million: fish, coconut products, nonu fruit products, processing of automotive components, beer, taro. Export markets — Australia, New Zealand, U.S. (includes American Samoa). Imports — $374 million: food and beverages, industrial supplies. Import sources — Australia, New Zealand, U.S. ($42.9 million), Japan, China, and Fiji. External debt (2009): $356.9 million (99.9% is owed to multilateral lenders). This was an increase of $150 million, or a little over 75%, in 2 years. 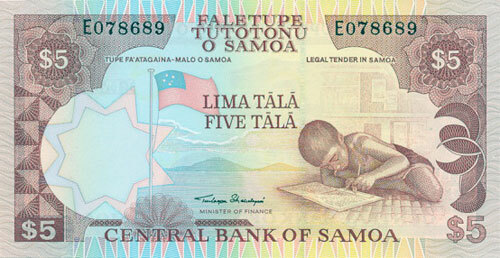 Currency: Tala (or Samoan dollar). The Independent State of Samoa includes the western end of the Samoan islands, consisting of the two large islands of Upolu and Savai'i and seven small islets. 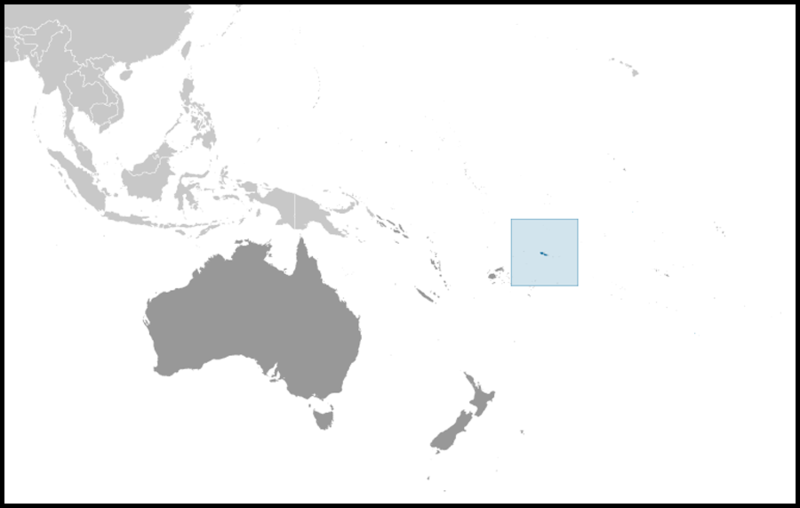 The island group is located about halfway between Hawaii and New Zealand in the Polynesian region of the South Pacific. The main island of Upolu is home to nearly three-quarters of Samoa's population and its capital city of Apia. The climate is tropical, with a rainy season from November to April. The Fa'a Samoa, or traditional Samoan way, remains a strong force in Samoan life and politics. Despite centuries of European influence, Samoa maintains its historical customs, social systems, and language, which is believed to be the oldest form of Polynesian speech still in existence. Only the Maoris of New Zealand outnumber the Samoans among Polynesian groups. There are significant Samoan communities in the United States, New Zealand, and Australia. In general these communities maintain ties with family remaining in Samoa, and still consider themselves to be Samoan. Migrants from Southeast Asia arrived in the Samoan islands more than 2,000 years ago and from there settled the rest of Polynesia further to the east. Contact with Europeans began in the early 1700s but did not intensify until the arrival of English missionaries and traders in the 1830s. At the turn of the 20th century, the Samoan islands were split into two sections. 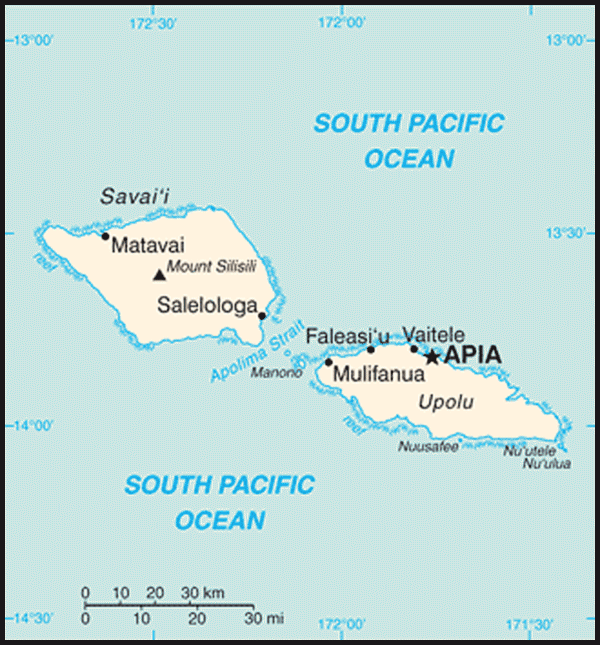 The eastern islands became territories of the United States in 1904 and today are known as American Samoa. The western islands became known as Western Samoa (now the Independent State of Samoa), passing from German control to New Zealand in 1914. New Zealand administered Western Samoa under the auspices of the League of Nations and then as a UN trusteeship until independence in 1962. Western Samoa was the first Pacific Island country to gain its independence. The 1960 Constitution, which formally came into force with independence, is based on the British Westminster parliamentary system, modified to allow for Samoan customs. Malietoa Tanumafili II held the post of head of state for 45 years until his death in May 2007. His successor, Tui Atua Tupua Tamasese Efi, was selected by the unicameral legislature (Fono) for a 5-year term. The Fono (parliament) contains 49 members serving 5-year terms. Forty-seven are elected from territorial districts by ethnic Samoans districts; the other two are chosen by non-Samoans on separate electoral rolls. Universal suffrage was extended in 1990, but only chiefs (matai) may stand for election to the Samoan seats. The voting age is 21 years and over. There are more than 30,000 matais registered but only 16,000 are in the country, of which about 8% are women. The prime minister is chosen by a majority in the Fono and is appointed by the head of state to form a government. The 12 cabinet ministers are appointed by the head of state on the advice of the prime minister, and subject to the continuing confidence of the Fono. The judicial system is based on English common law and local customs. The Supreme Court is the court of highest jurisdiction. Its chief justice is appointed by the head of state upon the recommendation of the prime minister. Unique to Samoa's judicial system is the Lands and Titles Court, which hears customary/traditional land and matai title grievances. Parliamentary elections are held every 5 years, and the last was held in March 2011. Only two parties contested the election — the Human Rights Protection Party (HRPP) and the Tautua Samoa Party (TSP). The TSP was formed in October 2010 as a coalition of members from previous opposition parties and some independents, including the TSP, Samoa Party, and The People's Party. In the 2011 election, the Human Rights Protection Party won 29 seats; it joined with 7 independents to hold 36 of 49 seats, maintaining control of the government. The TSP won 13 seats, meeting the threshold of at least 8 seats to form a recognized party in parliament, and became the opposition. The Human Rights Protection Party has held a majority in the Fono for the past seven consecutive 5-year terms. The HRPP leader and prime minister for the past 13 years is Tuilaepa Fatialofa Lupesoliai Aiono Sailele Malielegaoi. Prior to and immediately after the 2011 election, the TSP was led by Vaai Papu Vaai; however, post-election court action found him guilty of election bribery and "treating" (giving gifts), effectively costing him his seat. The TSP unanimously elected Palusalue Faapo II to assume the role of party leader. Following the 2011 election, eight election petitions were made to the Supreme Court charging various counts of bribery, treating, or gifting during a campaign, and one motion charged that a member who won the election did not meet the prerequisite condition of living in Samoa for 3 years prior to the election. By May 2011, of the eight cases initially filed, two motions were withdrawn at the request of petitioners, one case was dismissed, two were ongoing, and three cases concluded with numerous guilty verdicts for bribery, treating, and gifting during a campaign period. Included in the list of those found guilty and forbidden to run for elections for the next 5-10 years were two current associate ministers, a former associate minister, then-leader of the TSP Vaai Papu Vaai, and another TSP member. In all, four members of parliament lost their seats, and by-elections were held in July 2011 to fill the vacancies. All by-election winners were HRPP members, bringing the final composition of parliament to 37 HRPP members and 12 TSP members. Samoans operate in a predominantly informal economy, with only 18% of the population formally employed in a salaried position. The figures given below reflect percentages of the formal economy, not necessarily the informal one, which represents more people but not much of the country's wealth. The Samoan economy is dependent on tourism, capital flows from abroad (remittances, external borrowing, and aid) as well as some agricultural and manufacturing exports. New Zealand is Samoa's principal trading partner, typically providing between 35% and 40% of imports and purchasing 45%-50% of exports. The growing number of Asian-owned businesses in Samoa has led to increasing trade with Hong Kong, China, and Japan. Australia, Fiji, and the United States, including American Samoa, also are important trading partners. Samoa's principal exports are coconut products, nonu fruit, and fish. Its main imports are food and beverages, consumer goods, industrial supplies, and fuels. In the early 1990s, Samoa's economy suffered blows from two consecutive cyclones (Cyclone Ofa in 1990 and Cyclone Valerie in 1991) and an outbreak of taro leaf blight (a root crop which is the staple food and was the largest export). The government responded to these shocks with a major program of road building and post-cyclone infrastructure repair. Economic reforms were stepped up, including the liberalization of exchange controls. GDP growth rebounded to over 6% in both 1995 and 1996 before slowing again at the end of the decade. From 2003 until the onset of the global economic downturn, Samoa enjoyed relative economic success with an average of 5.0% GDP growth yearly. The economic crisis, followed by the devastating September 29, 2009 tsunami, resulted in the contraction of the economy by 3.8% in 2008 and 1.7% in 2009. The economy saw encouraging signs of growth in 2010 with a 1.5% growth rate and a prediction of 2.8% for Samoan fiscal year 2011. The service sector accounts for about three-quarters of GDP and employs approximately 50% of the formally employed labor force (which is about 18% of the population). Tourism is the largest single activity, more than doubling in visitor numbers and revenue over the last decade. In 2009, Samoa's tourism industry encountered major obstacles, namely the global financial crisis and the devastation of the September 29 tsunami. The tsunami ravaged 25% of Upolu Island's south and southeastern coast, which housed some prime resorts and beach "fales" (villas). This, however, did not undermine the booming industry, with tourism arrivals increasing to more than 128,000 in 2009 and contributing over $120.8 million to the local economy. The tourism industry started rebuilding a week after the devastation, making use of subsidies and concessional loan assistance from the Samoan, New Zealand, and Australian Governments. Some hotels have since opened and others are in the process of rebuilding. Industry accounts for about 13% of GDP while employing less than 6% of the work force. The largest industrial venture is Yazaki Samoa, a Japanese-owned company processing automotive components for export to Australia under a concessional market-access arrangement. The parts are primarily used in production of Toyota vehicles. The Yazaki plant employed more than 2,000 workers, making up over 20% of the manufacturing sector's total output prior to 2008. The pressures of the global financial crisis led to job cuts of more than 50% for Yazaki, and while numbers went up again as the global economy grew, the devastation from the March 2011 Japanese earthquake and tsunami caused the numbers to once again decline to 800 employees. If the auto industry rebounds, and demand increases, it is presumed employment will return to previous levels. The primary sector (agriculture, forestry, and fishing) employs less than 2% of the labor force and produces 3.6% of GDP. Important products include coconuts and fish. The collapse of taro exports in 1994 has had the unintended effect of modestly diversifying Samoa's export products and markets. Prior to the taro leaf blight, Samoa's exports consisted of taro ($1.1 million), coconut cream ($540,000), and "other" ($350,000). Ninety percent of exports went to the Pacific region, and only 1% went to Europe. Forced to look for alternatives to taro, Samoa's exporters have dramatically increased the production of copra, coconut oil, and fish. These three products, which combined to produce export revenue of less than $100,000 in 1993, now account for over $6.7 million. There also has been a relative shift from Pacific markets to European ones, which now receive nearly 15% of Samoa's exports. These exports are still concentrated in fish ($5.8 million), nonu fruit products ($3.27 million), and coconut products ($0.9 million worth of copra, copra meal, coconut oil, and coconut cream), but are at least somewhat more diverse than before. The more than 150,000 Samoans who live overseas provide two sources of important financial assistance from abroad. 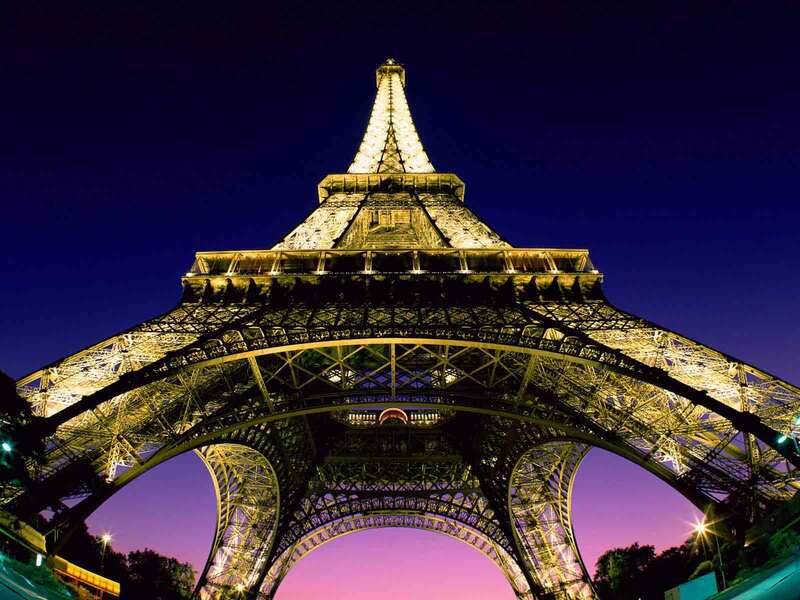 Their direct remittances have amounted to $128.2 million per year recently (about 24% of GDP), and they account for more than half of all tourist visits. In 2010 remittances dropped for the first time since 1998 after sustaining increases every year, a factor attributed to the increased unemployment rates in traditional source countries — the U.S. (including American Samoa), Australia, and New Zealand. In addition to the expatriate community, Samoa also receives more than $28 million annually in official bilateral development assistance from China, Japan, Australia, and New Zealand. These three sources of revenue — tourism, private transfers, and official transfers — allow Samoa to cover its persistently large trade deficit. In March 2006, the United Nations reviewed Samoa's status as a Least Developed Country and recommended graduation into Developing Country status. Samoa sought a review of the decision on grounds of economic and environmental vulnerability, citing the 2009 tsunami and global financial crisis as grounds for extension. The UN agreed to extend Samoa's transition period to January 2014. In December 2011 Samoa officially joined the World Trade Organization (WTO) after 13 years of negotiations. Samoa has until June 15, 2012 to ratify the WTO accession package. Samoa is a parliamentary democracy modified to include traditional cultural ways. It has a free-market economy and is a member of a number of regional and international bodies. In policy, Samoa often aligns with countries with similar values, and has been characterized as conservative and pro-Western, although it has growing ties with China. Samoa has a strong interest in regional political and economic issues. At independence in 1962, Samoa signed a Treaty of Friendship with New Zealand. This treaty confirms the special relationship between the two countries and provides a framework for their interaction. Under the terms of the treaty, Samoa can request that New Zealand act as a channel of communication to governments and international organizations outside the immediate area of the Pacific islands. Samoa also can request defense assistance, which New Zealand is required to consider (Samoa does not maintain a formal military). The country has a close working partnership with New Zealand through its bilateral aid program (NZAid) in Samoa. Samoa has welcomed various annual and other visits to Samoa by the New Zealand Governor General, Prime Minister, Foreign Minister, and other high-level officials. Overall, Samoa has strong links with New Zealand, where many Samoans now live and many others were educated. Samoa shares a close and friendly relationship with traditional partner Australia through various regional organizations and initiatives. Australia is also the largest donor to Samoa and has a bilateral aid (AusAid) program in the country. Samoa has welcomed various high-level Australian officials to Samoa, including the Australian Foreign Minister, in recent years. The Government of Samoa has a strong relationship with the Government of the People's Republic of China (P.R.C.). The P.R.C. has provided substantial assistance to Samoa. Assistance from the P.R.C. has been especially focused on construction projects, including the main government building as well as performance venues for the South Pacific Games, which Samoa hosted in August-September 2007. The P.R.C.-funded parliamentary offices opened in August 2008, and the Justice building opened in January 2010. The two countries signed concessionary loans of $64 million in 2008 and $30.5 million in January 2010 for the construction of a multi-story office and conference center and a national hospital, respectively. Relations with the P.R.C. remain strong with continued soft loan agreements, establishment of bilateral agricultural farming initiatives, and the visit of China's top political advisor to Samoa in April 2011. The Samoan Government was an outspoken critic of the French decision to resume nuclear weapons testing in the South Pacific in 1995. After years of banning French naval vessels and air force planes from entering Samoa, relations have eased, resulting in frequent French naval visits to the country. As a player in the Pacific region, Samoan Prime Minister Tuilaepa has been a very vocal critic of the 2007 coup in the Republic of the Fiji Islands and of the interim military government of Josaia Voreqe Bainimarama. When the Fiji interim government failed to hold general elections in May 2009, Samoa's leader was at the forefront of Pacific leaders to come out against the position and legitimacy of the military government. Samoa has diplomatic missions in New Zealand, Australia, the P.R.C. Japan, Brussels, and UN New York, with consulates in Fiji and American Samoa. There are four diplomatic missions in Samoa: New Zealand, Australia, the P.R.C., and the U.S., with seven international organizations. Since 1967, the United States has supported a substantial Peace Corps program in Samoa. Over 1,900 Peace Corps Volunteers have served in Samoa over that time, with more than 40 Volunteers currently in-country. Peace Corps programs have emphasized village-based development and capacity building, but most recently have moved back to traditional primary English education. Other forms of U.S. assistance to Samoa are limited. High points in the bilateral relationship in recent years include July 2008, when Secretary of State Condoleezza Rice visited Samoa and met with Prime Minister Tuilaepa as well as her counterparts from other Pacific Island nations; the July 2009 Pacific Partnership humanitarian project that involved U.S. military engineering and medical outreach, and the many positive results and interactions it engendered; and the support provided by the U.S. Government, organizations, and individuals in the aftermath of the September 2009 earthquake and tsunami. The July 2008 visit was the second time a Secretary of State had visited. Secretary George Shultz visited in 1987. The U.S. Embassy, staffed by a single American officer, is the smallest embassy in Samoa (although a few countries have honorary consuls) and one of the few one-officer U.S. embassies in the world. Samoa is a member of the United Nations and the Commonwealth of Nations and a strong advocate of the Pacific Commission and Pacific Islands Forum. The U.S. Embassy is located on the 5th Floor of the Accident Compensation Corporation (ACC, also known as ACB) Building, Beach Road, Apia. Its mailing address is P.O. Box 3430, Apia. Phone:  21631. email: http://samoa.usembassy.gov/.